You can eat chocolate when you quit sugar! 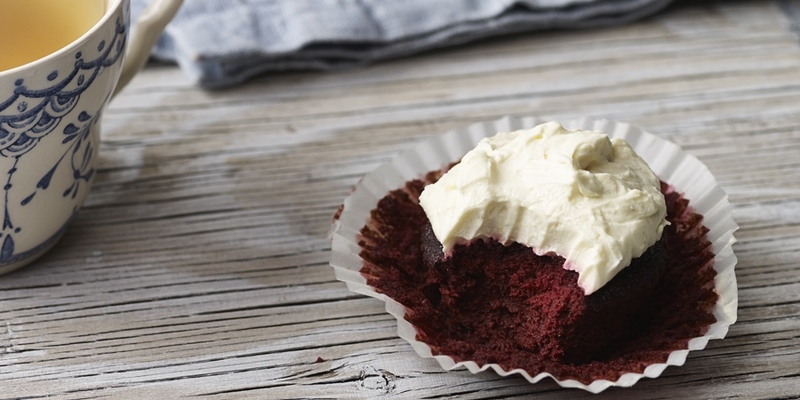 But, it must be of good quality, preferably using raw cacao powder like we've done in these Red Velvet Cupcakes. 2 large beetroot, washed and grated raw. 4 tablespoons raw cacao powder. 1. Preheat oven to 180ºC/350ºF/Gas Mark 4 and line a cupcake tin with 12 cupcake cases. 2. Blend all ingredients (in a blender or with a stick blender) until it’s a smooth batter, then divide between the 12 cases. 3. Cook for 40 minutes. Serve alone or topped with thick Greek yoghurt, whipped coconut cream or Cream Cheese with the rind of one lemon.